Among the archived videoconferences available through the OWL system: a video from the Inupiat Heritage Center that recounts the Inupiaq legend of hunting mammoths near Anaktuvuk Pass, and an introduction to the Tlingit Language that starts with easy words and commonly used phrases. The University of Alaska Fairbanks used a separate BTOP award to expand the work of the Alaska Distance Education Consortium, a university-led coalition of partners from across the education, healthcare, social services and non-profit sectors working to expand distance learning opportunities. The federal investment supported a range of projects to help close the digital divide and promote online learning. And it focused much of its work on Alaska Native villages, where the gap is the widest. One project funded through the Distance Education Consortium was a "telehealth coordinator" certificate program run by the non-profit Alaska Native Tribal Health Consortium. The program teaches students how to operate videoconferencing systems and telemedicine carts to gather patient data to be transmitted to distant hospitals. The Consortium also supported a program at the Alaska Vocational Technical Center - part of the State Labor Department's Institute of Technology - that trains rural Internet technicians known as "Village Internet agents." Another project funded through the Consortium was an online homework help service run by the Alaska Library Network. With funding from NTIA's State Broadband Initiative Program, Connect Alaska has partnered with the Association of Alaska School Boards to host a series of local technology workshops in a handful of bush villages. 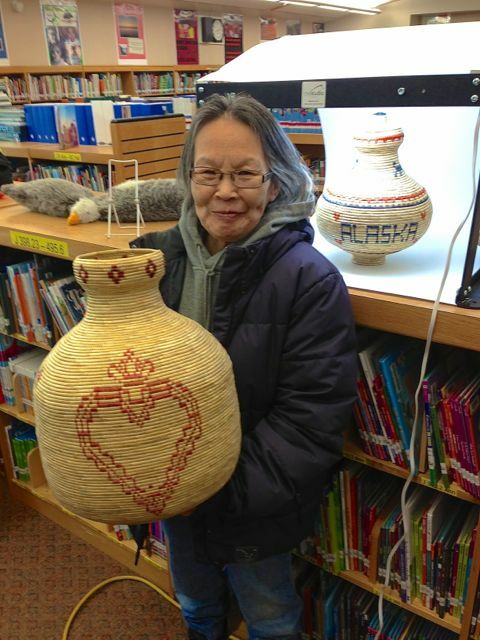 At a recent workshop in Chevak, instructors helped build local e-commerce Websites to let residents show off and sell their native artwork, including dolls, baskets and jewelry. At another workshop in Metlakatla, instructors created community Websites and taught residents how to record and upload traditional stories and cultural folklore. Connect Alaska also uses NTIA funding to map broadband availability across the state for the National Broadband Map, and to finance the work of the Statewide Broadband Task Force, which aims to close remaining broadband gaps. These projects show the potential of technology to connect people living in even the most remote corners of the U.S. to tomorrow's opportunities, and tie them to the rich cultural heritages of their past. We are proud of NTIA’s role in making these projects possible. And we look forward to hearing more stories about how broadband is improving life in The Last Frontier.